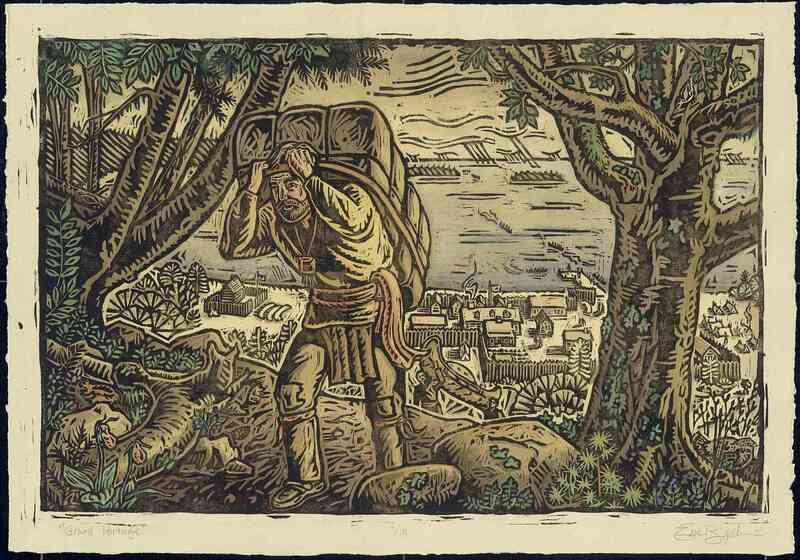 The woodcut technique yields beautiful images with a whimsical, lighthearted, rough-hewn charm. 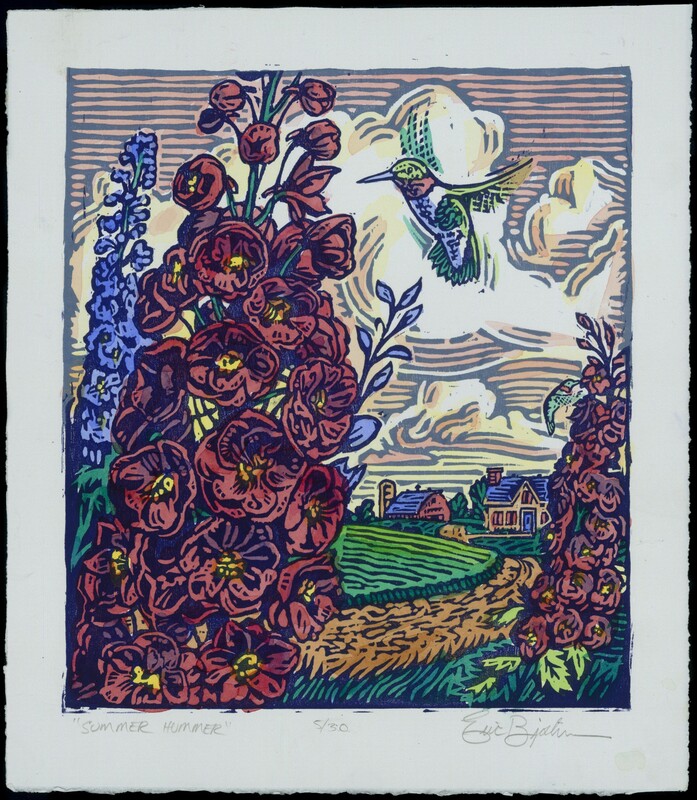 Each Eric Bjorlin woodcut is an original artwork created entirely in the artist`s studio. To make a woodcut, Eric first meticulously carves a mirror image of the design into a block of white pine. With a roller he then applies ink to the wood and prints the image onto heavyweight paper. 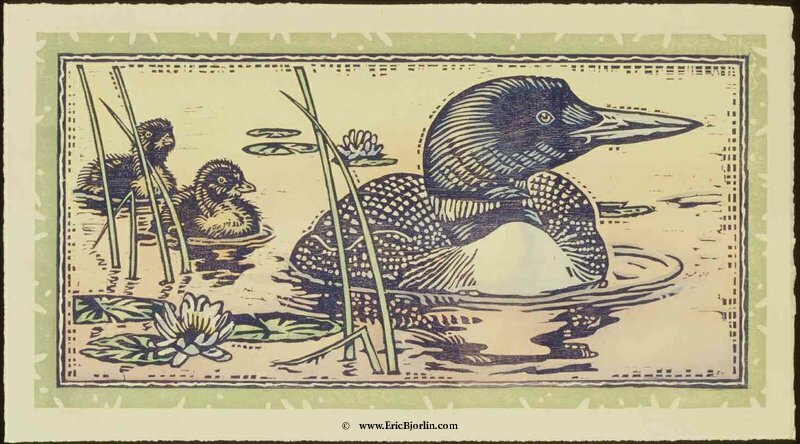 Finally he paints watercolors onto each woodcut print.